The first time I participated in a kirtan and felt Bhakti yoga in my heart I was in the first week of my teacher training at I Love Yoga studio. 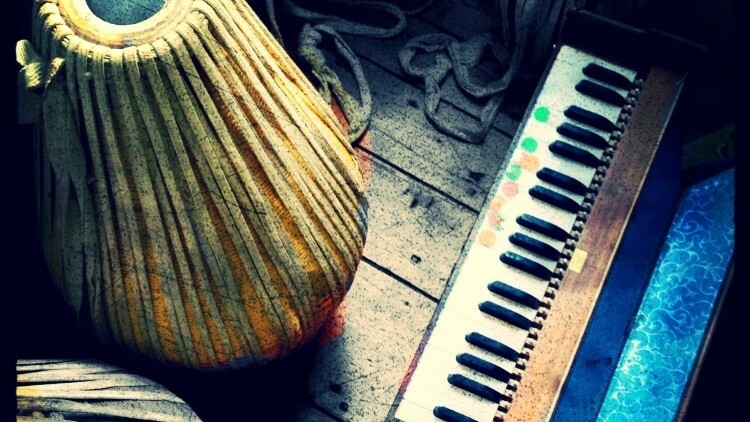 As Moses Love played the notes on the old wooden harmonium, I felt an electricity awaken inside of me. What was this beautiful music? Where was this magic coming from? Why did I have goose bumps? Each person began to sing and when my turn came around, a beautiful voice came out from deep inside of me. I looked around almost in shock- was this my voice? Or was this the voice of the divine? I suspect music lies deep in my blood, passed on like ancient DNA from the men and women of Kashmir, playing sitar and tabla on flowered mountain tops. Or from my mother’s side of the family, where breath-taking music echoed on a white sand island. Wherever it came from it exists, inside my heart. It pulls me and lifts me and makes me dance and move and sing. And every time it leads me to God. 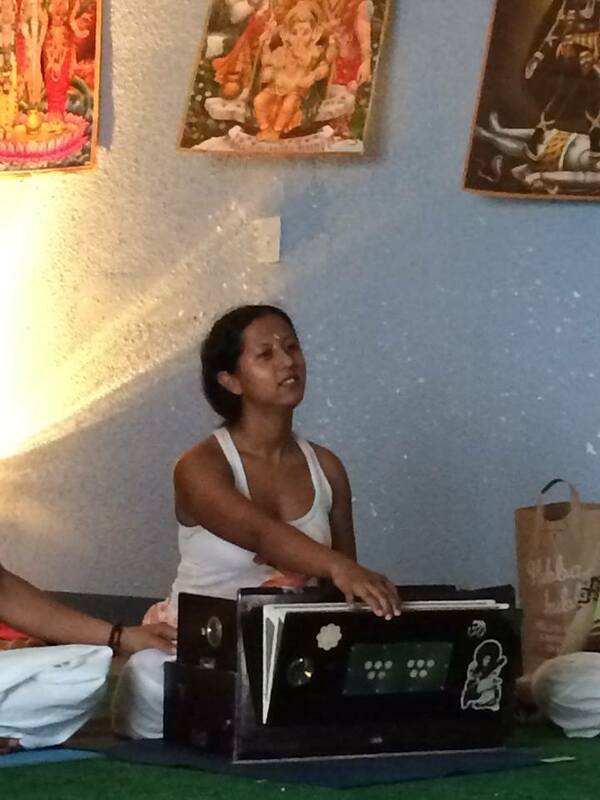 Each week as we practiced kirtan, I felt the love inside me grow. I would listen to the words and as we were chanting, a space would open in my heart and I would feel a shift going on. I would close my eyes to see brilliant purple light filling my up. Thrust into my third eye I would feel the presence of God. My friend Sofia always says, “God is closer than our own breath,” and in those moments, I would feel God inside me, all over me, expanding from my heart to an infinite universe. I would raise my hands up, my eyes would close, my head would lean forward to bow to the divine. Moses and Zayna told me about Bhakti Fest, a yoga, dance, and music festival held each year “which celebrates the devotional path that has its roots in yoga, kirtan, and meditation.” As soon as I heard about it, I vowed that I would make it out there someday. To be part of this musical devotion on such an large scale must be beyond words. I will be there next year, I know it. I would say “try” to be there, but I have removed that word from my vocabulary (thanks Moses). No matter what religion you follow, music is a part of devotion. It brings us to our knees or lifts us up high. In my upbringing, raised both Muslim and Christian, I fell in love with the way music made me feel. Whether it was going with my mom to our Presbyterian church and singing songs to God or it was listening to my aunt sing beautiful devotional songs to Allah, I had a profound respect for melodies and sounds and strings on instruments that pluck at the heart. The first time I heard Matisyahu’s “King Without a Crown,” I was brought to tears alone in my car on a lonely stretch of highway. In the words, “What’s this feeling? My love will rip a I give myself to you from the essence of my being. And I sing to my God, these songs of love and healing,” I had the conscious recognition of God in the car with me and shivers to my soul. What if God had been here all along? 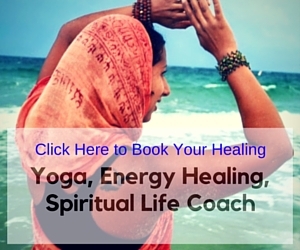 When I look back at my life, I have been practicing Bhakti yoga without ever knowing it. At my core I am a devotee. That’s what I’ve been sent here for, to show others the beauty of the divine that exists inside them always…even in a lonely car on a highway by yourself in the middle of the night. The music that sings from your heart can never be muted. It sings on even in silence…because God resides there. Guru Guru Waheguru. Guru Ram Das Guru. 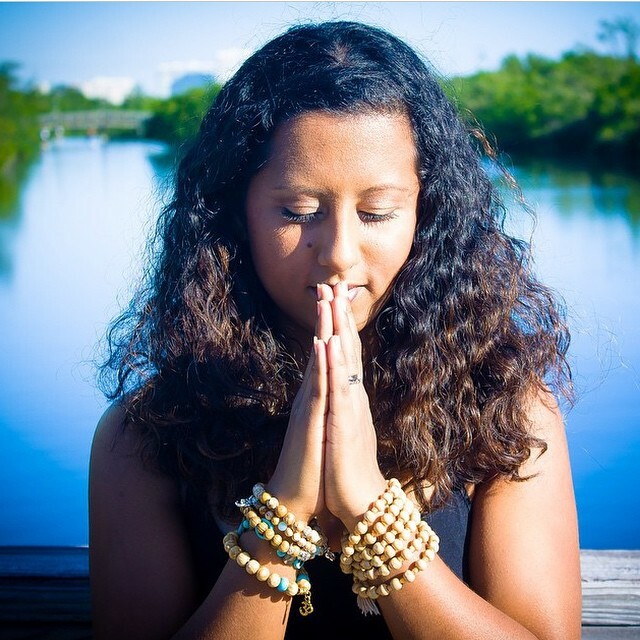 Suki Eleuterio is an author, spiritual life coach, and yoga teacher living in South Florida. She is the founder of Found My Light, and the creative mind behind Sookton’s Space. She enjoys writing and discussing spirituality, holistic health, and vegetarianism. Her book “She Loved Herself” is available on Amazon. You can follow her musings on Twitter and Instagram.